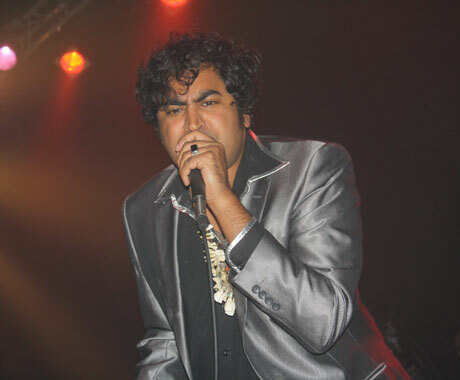 Following up last fall's run of North American shows in support of Idle No More, well-regarded psych-garage crew King Khan & the Shrines have now announced they're coming back to the continent for another tour. A press release confirms that the band will be heading our way later this spring, following a stretch of shows across Europe. The new North American leg kicks off May 30 at the Chaos in Tejas festival in Austin, TX, and will primarily keep the Shrines beneath the U.S./Canada border. That said, Khan will bring the show up to Canada once, via an appearance at the Vancouver International Jazz Fest on June 24. You'll find all of the show details down below. In addition to the tour announcement, the Shrines have just unveiled a tripped-out set of visuals for tune "Born to Die." Inspired by the film work of Alejandro Jodorowsky (The Holy Mountain, El Topo) and voodoo priestess Marie Laveau, a press release explains that the video tackles ideas surrounding class, capital punishment and spirituality. "I wanted to show Louis the 14th ordering modern executions to show folks that things have really not changed much," Khan said in a statement. "The powers that be are still these royal families that call all the shots. I still believe there is a ray of hope that comes from some mysterious spiritual place." You'll find the video beneath the tour dates.